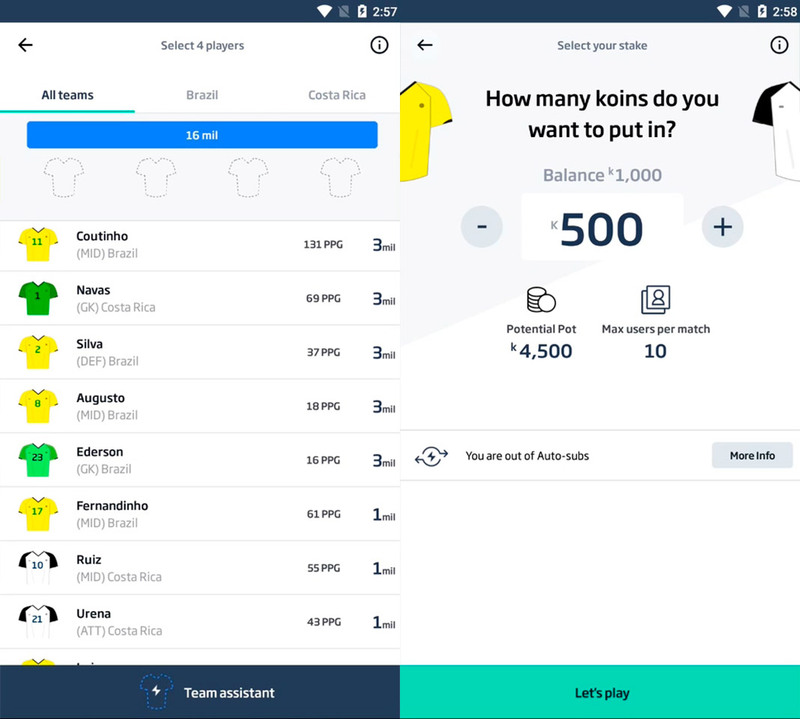 Foosio is a free Android app that adds a new dimension of excitement to real soccer games, offering a fun fantasy competition. The popularity of fantasy leagues hasn’t stopped growing over the years. More and more people are jumping on the bandwagon to compete in online competitions involving all different sports. As these users know, it’s not the individual teams that are important, but the performance of the individual players. 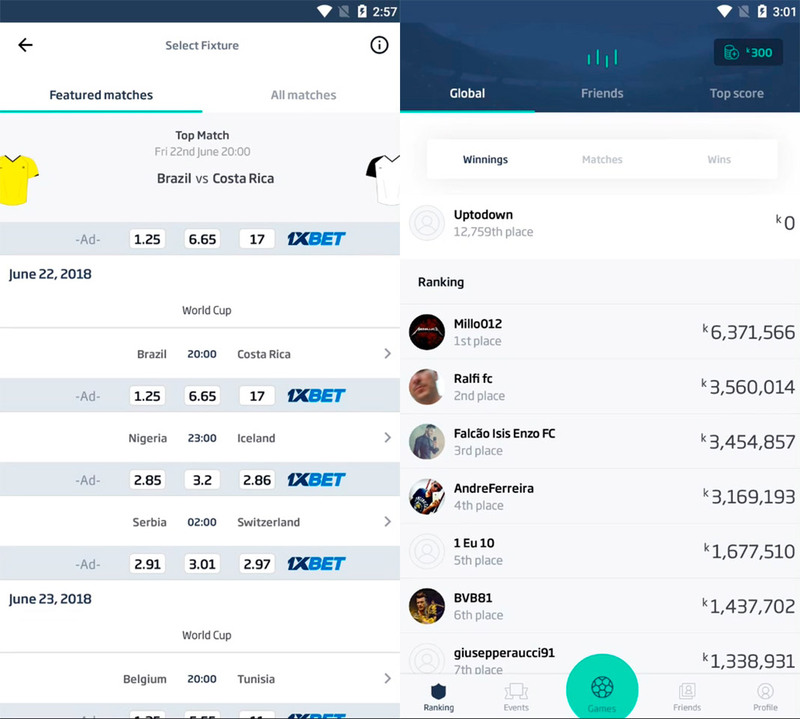 Soccer takes up a huge piece of the pie with these types of events and Foosio is an Android app that makes it even more convenient and fun to participate in fantasy competitions. When we talk about Foosio, we’re not talking about a soccer manager in the same sense of strategic management games. It has nothing to do with those types of games where you simulate being a soccer coach like in the classic Football Manager. 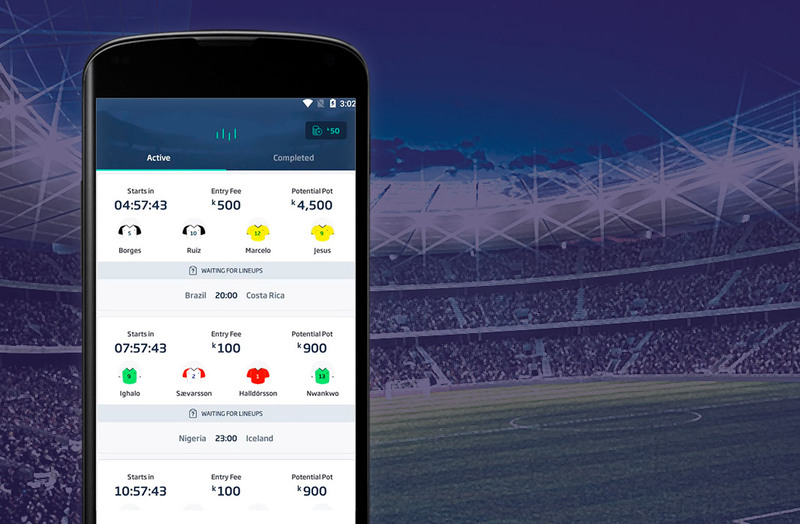 Instead, this free Android app brings the excitement of the world’s most popular sport to the world of fantasy sports where you get to select players from different teams to earn points based on their performance. However, unlike other similar apps, you don’t have to put together a complete team, but instead, only four players that you can change with each new match. Foosio gives you a list of upcoming games that are going to be held and you get to decide which ones you want to compete in. After selecting the match, you have to select a total of four players regardless of whether they’re on the same team or from both. The only rules are that you have 16 million fake Euros to spend between these four players and you can only pick one goalie, if you want to, that is. The price of these players will be divided only in four (7,5,3, or 1) and will fluctuate depending on the performance they’ve had in their previous match. Once you have your team of four ready, you have to bet an amount of money that you’ll use to compete directly against one opponent, who could be a friend or a random person. Then, you just have to wait for the game to start. Once it does, you can interact live with Foosio: you can make changes to your team if you’re not happy with the performance of the ones you’ve selected. As soon as the game is over and the performance is calculated for both fictitious teams, you’ll win or lose the match and the same goes for the money you wagered. 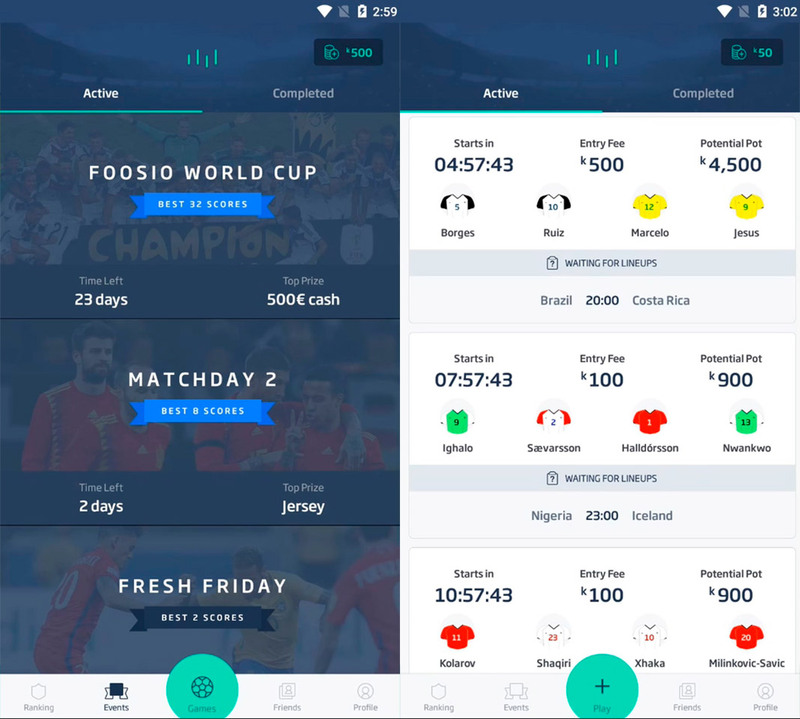 One of the features we like most about Foosio is that it doesn’t matter if you compete against your friends or not: you can get the full experience of the app even if you play against total strangers. It’s also possible to participate in all the matches you want. This just depends on whether you have enough virtual money to make the necessary bets. You can always pay real money for more, although we’d recommend making smaller bets until you get the hang of using the app. Thanks to Foosio you can take your soccer watching experience to the next level. The ability to make changes during the live games is always appreciated, but what most stands out about this app is how extremely easy it is to use. You don’t have to think too hard about putting together the perfect 11 man team to compete, but instead, more manageable mini-teams of 4 players for each game you choose to participate in. Plus, the app also provides you with complete leaderboards where you can see who’s ahead in the different competitions the app offers. It’s the perfect app for experiencing the current 2018 World Cup with even more intensity.